A Turkish cargo ship with 10 crew on board sank in the Black Sea near the Asian side of Istanbul early on Wednesday morning, according to the coast guard. The cause was still unclear. 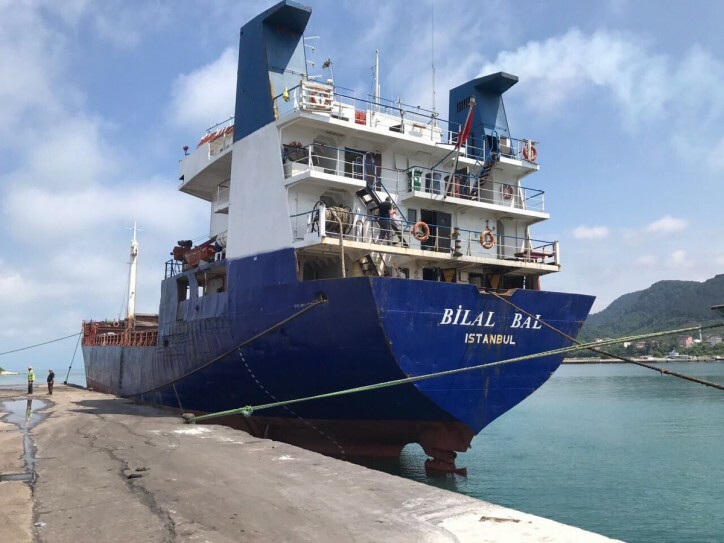 The ship, Bilal Bal, was carrying cast iron from Turkey's northwestern province of Bursa to the northern province of Zonguldak, the Dogan news agency reported. "Unfortunately, one of our cargo ships sank in ... the Black Sea," Prime Minister Binali Yildirim said. Search and rescue operations were continuing, he said. Three boats, one helicopter and one plane belonging to the coast guard were conducting search and rescue operations, according the coast guard. Empty lifeboats had been found as well as some life jackets, the coast guard said. Five boats more were deployed to aid in the operations, as well as a remotely operated underwater vehicle from the Turkish naval forces, it said.